Collecting data is the most important step in making any decision in life. The more data you have, the better the decision one can make. No one can ever have enough data or information when making a decision, and at Pipe Gordon Wells, we focus on getting as much of it as possible. Being vested in our cases allows us to not just follow a straight line of investigation, but to constantly and continually find new avenues to gather the information we need. By using the most current and up to date resources available, we constantly search for the path that gives us the best and most accurate information. Our years of experience have given us a wide range of networks to aide us in whatever research we need. Whether it’s experts in a specific field, knowledgeable colleagues around the country, or a thorough familiarity with the most recent technological devices, Pipe Gordon Wells has the expertise and know-how to obtain what you are looking for. However, proper investigation is not solely done from a desk or computer. It comes from one on one interviews and spending countless hours in the field. With over 50 years of combined field investigative experience, our firm has no problem hitting the streets and finding what is needed to assist in whatever endeavor we undertake. Rest assured, we will work for you and do all we can to make sure your satisfied with our service. Today’s world does not let anyone take for granted anything on its face. Whether it’s a simple background check for incidents with the law, an asset check, or even a verification of prior work experience, checking one’s history is vital in today’s world. Our associates are experts in the fields of background checks and obtaining past information that is appropriate for your needs. 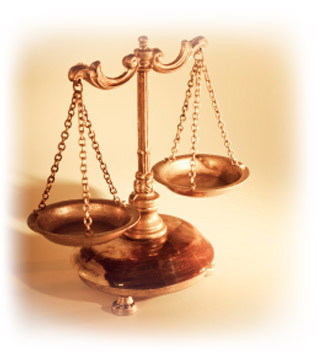 Court related, human resources, or just for your own personal knowledge, we can help fulfill your needs. How can you better utilize an Investigator? It’s a common question that we are asked all the time by some of the top attorneys in the area. Besides adding a knowledge base of resources and a strong skill set, a good investigator can do so much more. Pipe Gordon Wells offers free seminars to law firms, schools, and groups of all kinds on how to utilize an investigator for your business or firm. See what a competent investigator can do to help you better in your cases and research and save you and your clients’ time and money. Each seminar is geared specifically to the audience being addressed because there is no standard way of investigating nor is there a standard checklist about how to obtain information. Each case and area is unique and deserves its own attention to detail. In addition to our free seminars, Pipe Gordon Wells provides training on a wide variety of topics ranging from Obtaining Effective Witness Interviews and Statements to Conducting Online Investigations. Please contact us for more information regarding our training sessions.